Story: Kirk (Jay Baruchel, "Knocked Up," "Tropic Thunder"), an average Joe, can't believe his luck. Though he's stuck in a seemingly dead-end job as an airport security agent, against all odds Molly (Alice Eve), a successful and outrageously gorgeous babe falls for him. Kirk is stunned. So are his friends, his family and even his ex-girlfriend. 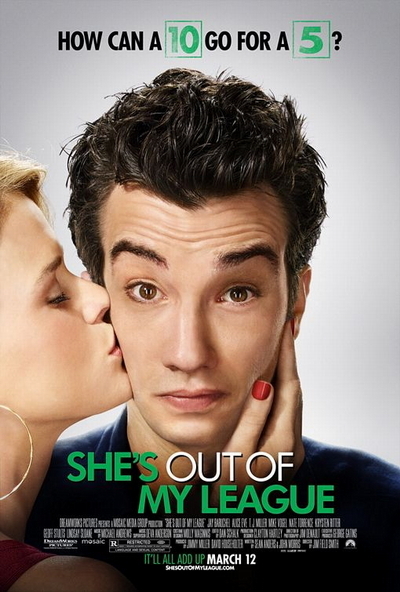 Now he has to figure out how to make the relationship work, even though he's the first to admit "She's Out of My League."